The 11th annual Chowder Cook-off is Saturday, March 23rd from 12-2:30pm! 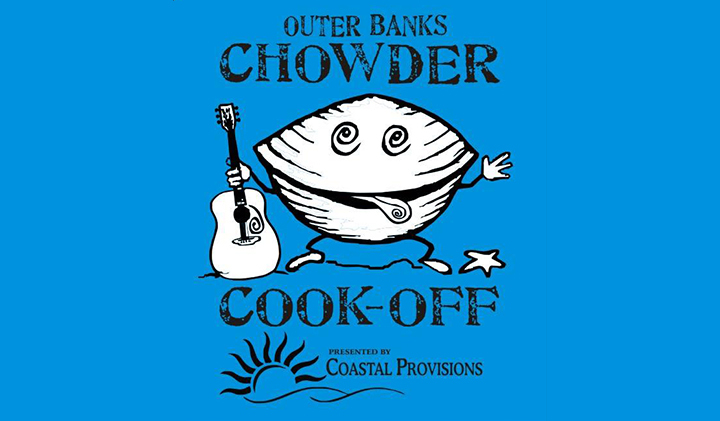 A major spring highlight for locals & visitors alike, the cook-off will feature over a dozen local restaurants vying for the title & bragging rights of best chowder along with cash prizes! Attendees get to sample ALL chowders & vote for the People’s Choice favorite. Advanced tickets also include two drink vouchers which can be used for sangria, soda, or beer being poured on-site from a variety of our favorite NC craft breweries. This event is outdoors so please dress seasonally. Limited parking will be available at Southern Shores crossing with overflow parking available across the street. This event has SOLD OUT the last few years so get your tickets now!